When you’re facing a busy day away from home, the last thing you want to have to worry about is an uncooperative cot and a fussy tot. 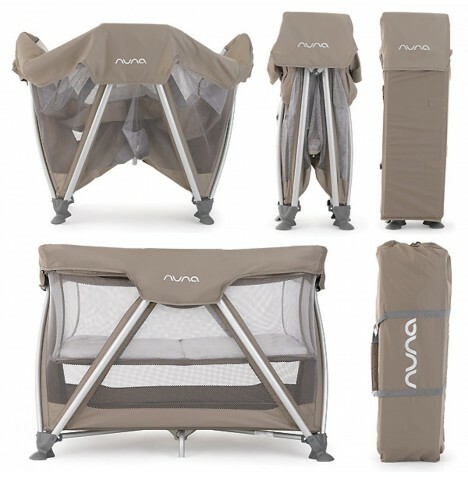 The Sena travel cot from Nuna benefits from a clever zigzag leg design that allows the cot to pop open easily into a soft, sturdy dreamland, and then folds down one handed into the handy travel bag (included) for a quick and speedy getaway in the morning! The revolutionary Dutch design allows the Sena to be used from newborn, through toddler-hood and even doubles as a secure playpen. 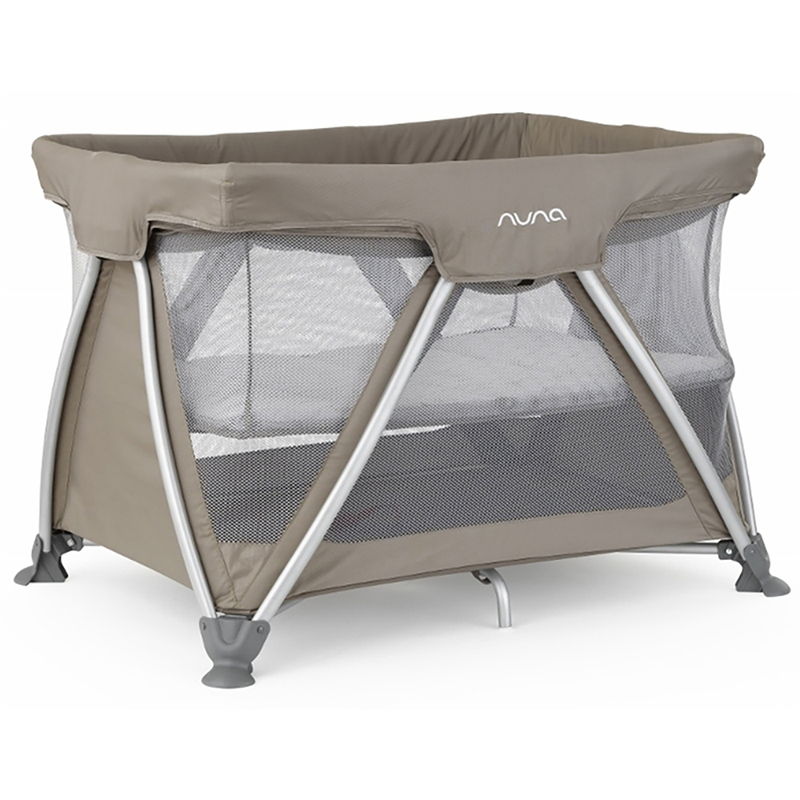 With a unique raised bassinet which can be folded along with the frame, the Sena offers practical convenience for parents on-the-go. All fabrics are Oeko-tex certified for safety, water-resistance and durable to help resist stains, wear and tear. 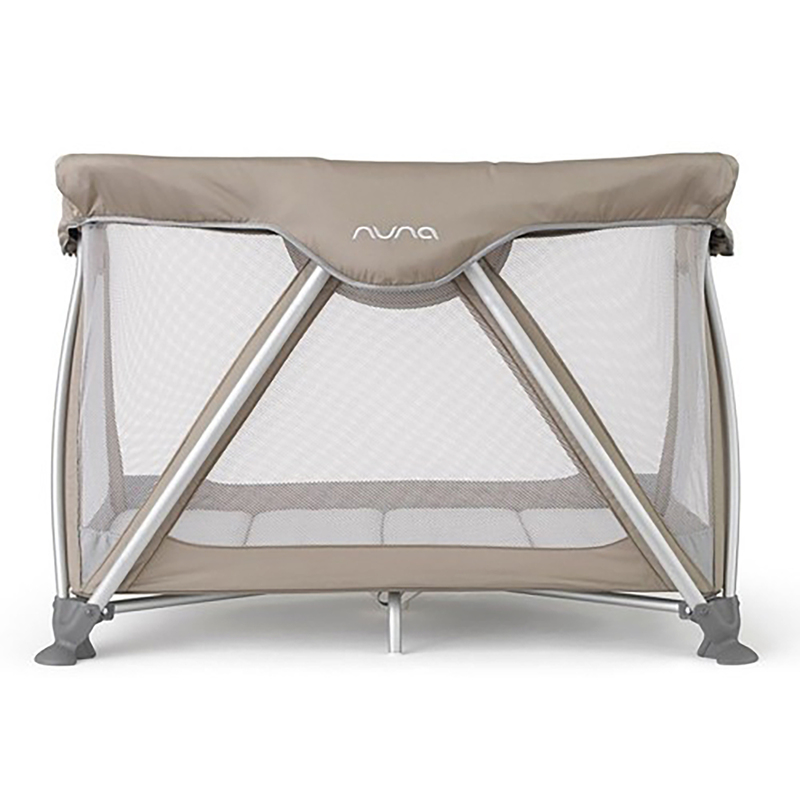 The above ground base keeps baby draft proof and has 8 support legs for increased stability. The edges are soft and padded to prevent any finger pinching and the strong aluminium frame is sturdy but also lightweight for easy transport and travelling.